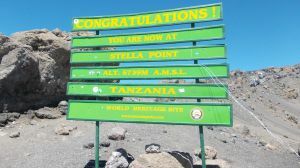 An overnight stop or resting point for people descending from mount Kilimanjaro using the Mweka route. 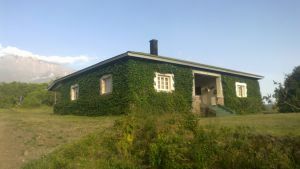 It is primarily used by descending hikers from routes such as the Northern circuit, Lemosho, Shira, Machame and Umbwe, and normally hikers are given the choice of spending the night here or at Mweka hut, further down the mountain. The campsite is a tents only camp, i.e. 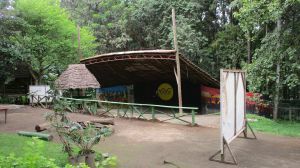 there are no built structures for accommodation and all people intending to use it are required to bring their own tents. 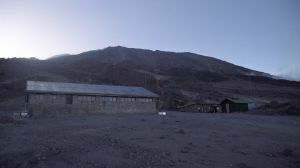 There is however, a ranger's hut — a wooden cabin at the north eastern end of the campsite where all people entering the campsite are required to check in (mostly for safety reasons). The camp's new toilets are all W.Cs some of the few available on the mountain but there also are some of the older pit latrines around that are now seldom used. 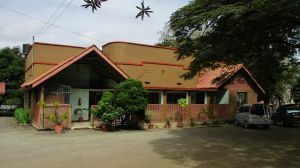 The toilet building has a partly transparent roof to let in some sunlight. 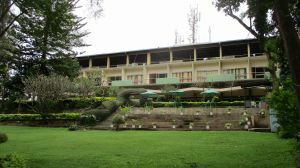 Millenium campsite is located on the lower south eastern slopes of mount Kilimanjaro and on top of a ridge. The vegetation in the area consists mostly of shorter trees, characteristic of heather region of the mountain with rainfall levels that are second to only that of the rain forest further down the mountain. Winds around the area are not too high and although there are animals, none of them are big game animals. The next campsite after this when descending is Mweka hut campsite, and after that Mweka gate. 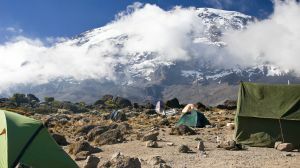 This campsite is also mostly used by those from the peak or from attempting to get to the peak, thus the previous campsite before this would be the last campsite used before the summit attempt, in most cases this is Barafu hut. Are you associated with Millenium campsite? Contact us to improve this page or create another page for your business.